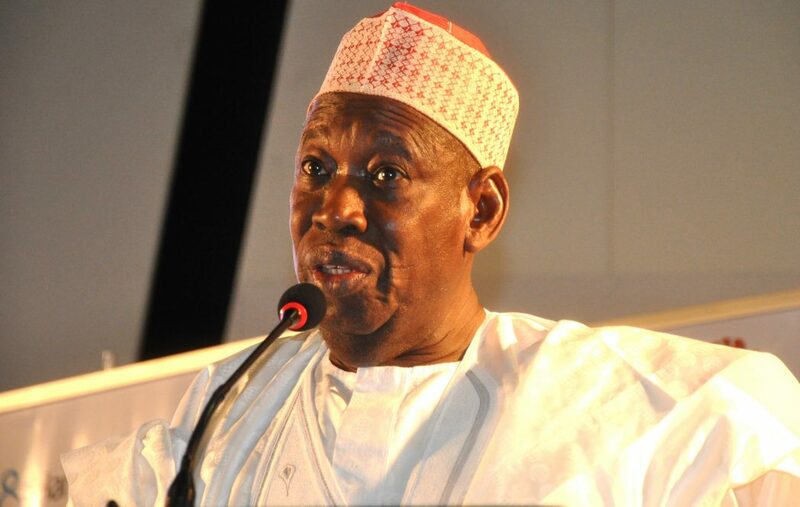 Kano State Governor, Dr Abdullahi Umar Ganduje has entered into a partnership with health experts and professionals in search of better ways for an effective and efficient implementation of policies in the health sector. According to press statement issued by his Chief Press Secretary, Malam Abba Anwar, the partnership was Governor Ganduje’s resolve to effectively implement health related policies. ‘This was in line with his intention from day one, which reconciles with an effort put by some notable development partners and a select of non-governmental organisations towards achieving optimal performance in the implementation of policies in this area,” the statement read. At a maiden One Day Policy Dialogue under the chairmanship of the state Commissioner of Health, Dr Kabiru Ibrahim Getso, held recently at Royal Tropicana, Kano, which brings together the state government on one hand and development partners, select non-governmental organisations, health experts and professionals, it has been observed that, in Kano, there is no idle policy in the health sector. All policies are working. The programme is funded by the development Research and Projects Centre (dRPC) through its Partnership for Advocacy in Child and Family Health at Scale (PACFaH – PAS). As providing a space for alignment on state work plans on Routine Immunization (RI), Primary Healthcare Under One Roof (PHCUOR), Family Planning (FP) and Childhood Killer Diseases (CKD). It involves, as earlier mentioned, Kano state government, development partners, NGOs, scholars, the media, traditional and religious leaders and other stakeholders. All of which has have special interest in the this process. While assuring participants at the discussion forum that governor Ganduje would always be ready to accommodate newer strategies for policy implementation, the health commissioner insisted that there was no health policy in the state that was not working. An assertion accepted and applauded by all the participants at the dialogue forum. “Our governor, Dr Abdullahi Umar Ganduje is simply taking a queue from President Muhammadu Buhari’s call for revitalization of the primary health care system. It is in this regard that we recently recruited over 1,600 primary health care workers,” he disclosed. 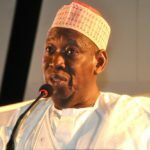 Governor Ganduje’s unflinching commitment also, according to Dr Getso, makes room for paying much attention in increasing human resource based in the health sector. In an effort to improve the quality services of, particularly, primary health care services. “Over 300 facilities have been upgraded and renovated. Most of them are primary health care facilities. Upgraded with good equipments. While over 390 facilities are being fully supported across the 44 local governments for them to work more effectively,” Getso discloses. On Routine immunization, he stated that, Kano had already taken full funding of the programme, after the winding up of the Dangote and Melinda Gates Foundations intervention. “While funds are released as and when due Kano is performing at more than 90 percent rate. We also have best practices in this area, like the harmonious relationship between the state and other critical stakeholders, like the Emirate Council, through the Emirate Council Committee on Health. So also the vaccine distribution system is superb. Just to improve the quality services,” he emphasised. To further address the gathering about the good work done in the area of child killer diseases, he said efforts are being done in the area. As government is commitring resources in the area. With much attention to effective utilisation of resources. Greater commendation came from the Commissioner, and at the same time assured them that after all the deliberations and suggestions, government would take the document and see how to make it a working document for effective policy implementation in the sector. “Instead of putting all our efforts in calling for the domestication of other policies, while shouldn’t we find for strategies on how the ones at hand could be implemented effectively? Yes we still need to domesticate some policies, but should not be at the expense of searching for better ways to implement the ones at hand,” Getso reminded. The idea all started from at a high level training on Using Data for Effective Policy Making programme, after diligent deliberations by a team of senior child and family health experts from the state, from government sector, the academia, civil societies and selected donor communities. Which took place at NIPSS, Kuru Near Jos, and was funded by the dPRC’s Partnership for Advocacy in Child and Family Health at Scale (PAS). It was also anchored by dRPC. The then training workshop was coordinated by NIPSS, the Institute of Development Studies (IDS), Sussex and Partnership for African Social and Governance Research (PASGR), based in Kenya. It was based on that workshop that Kano Team of Data for Health Experts decided to choose some thematic areas and work on them, through the application of skills they acquired at NIPSS programme. Looking at the seriousness and commitment of Ganduje administration in providing secured health service delivery system. Another Co-Team Leader Alhaji Garba Audu assures that all stakeholders present at the event would not relent in making sure that Kano excels in this area of effective implementation of policies in the health sector.